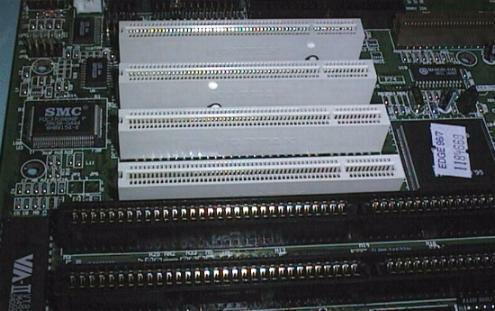 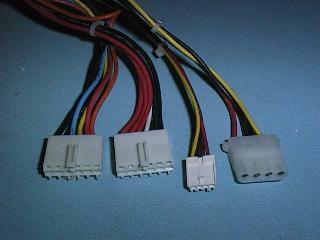 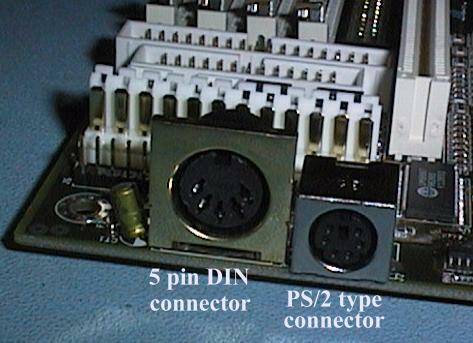 A 5 pin DIN connector was originally used to interface the Keyboard to the computers System Board. 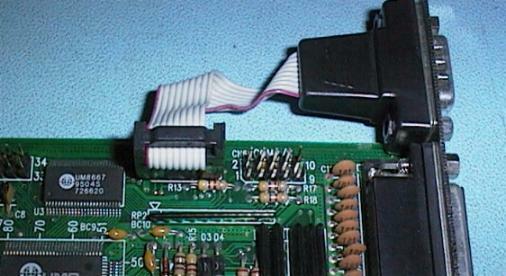 This connector is also used in Audio equipment to connect Tape Decks to Amplifiers. 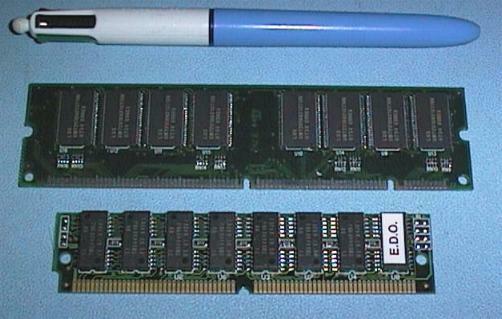 More and more modern PC hardware is using a miniature six pin DIN connector. 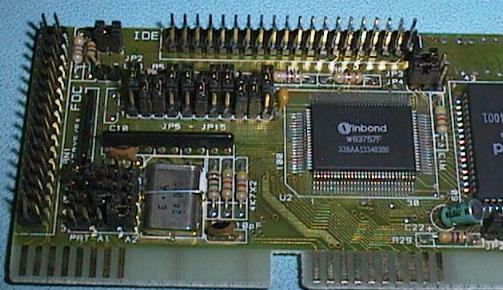 This board has both types. 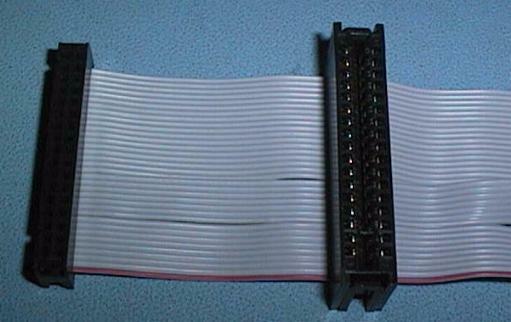 This connector is usually called a PS/2 connector because it was first used by IBM in the PS/2 range of computers. 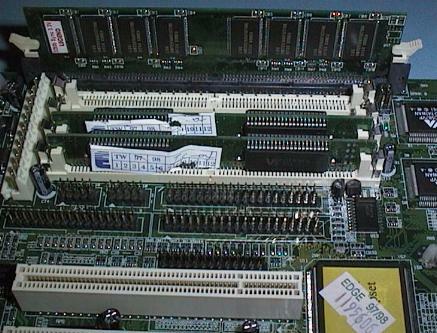 The Advanced Graphics Port (AGP) was introduced towards the end of 1997. 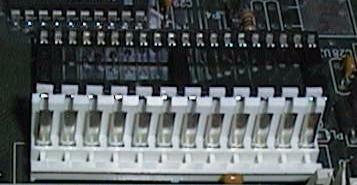 This is called a Port rather than a Bus because it is intended for a particular purpose, rather than as a universal bus slot. 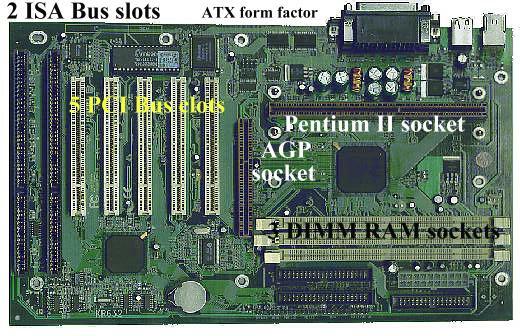 AGP is based on the latest PCI specification (ver 2.1), running at 66 MHz instead of 33 MHz like all existing PCI Bus cards, and having three extensions to the PCI specification.